Two years of hectic touring and recording have already made progressive synth-pop trio Twist Helix a known name across the North East, but 2018 looks set to be the year that they take a bigger leap into the public consciousness. 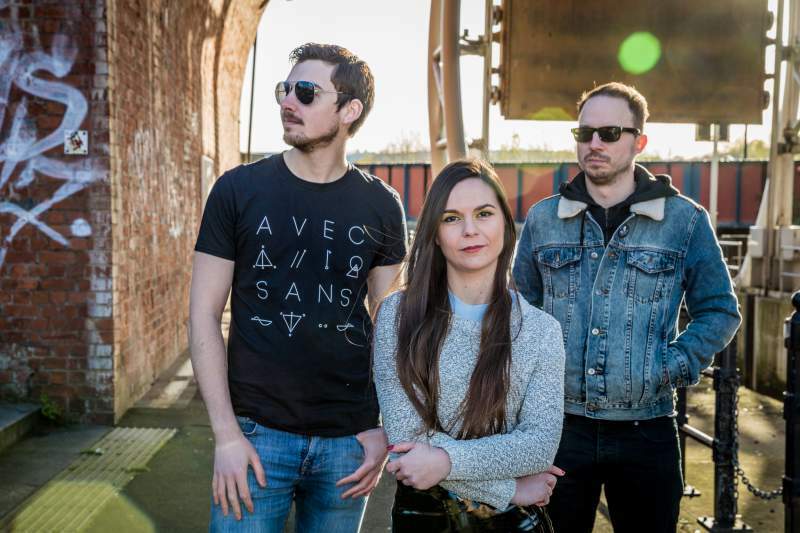 With their second album Ouseburn set for release later in the year, the band – Bea Garcia on keyboards and vocals, James Walker on drums and Michael Humble on bass – are releasing the title track as their latest single on Friday 9th February. Ahead of a UK wide tour (punningly dubbed the Below Byker tour) later in the month, they’re holding a special launch show at The Cumberland Arms on the same night. Supporting them is a crack squad of local electronic talent: the gothic storytelling of The Black Sheep Frederick Dickens, the brooding witch house duo Mausoleums and the pagan pop of Mother Night (recently relocated to Newcastle from northern Scotland but already making waves in the local circuit). Combine all that with the chance to catch Twist Helix’s euphoric live show in the Ouseburn’s very own mansion on the hill – and did we mention it’s only £3 in advance? – and you have yourself a most essential party.